Built in 2004 with 1,500 sq. ft. added on in 2010; this quality built modern, upscale, sprawling home offers plenty of room at less than $100 per sq. ft. There are 5 large bedrooms (4 have walk-in closets), 3 full baths, a separate office w/ closet that could be used as a 6th bedroom, a large bonus room above a 2 car garage, large laundry room that is plumbed for two washers and dryers, and a mud room (also with laundry hookups). The house features lots of large, beautiful windows in every room, hardiboard siding, cathedral ceilings, recessed lighting, granite counter tops in the kitchen, ceiling fans, and lots of upgraded features throughout. The home is also completely wired for cable and ethernet. 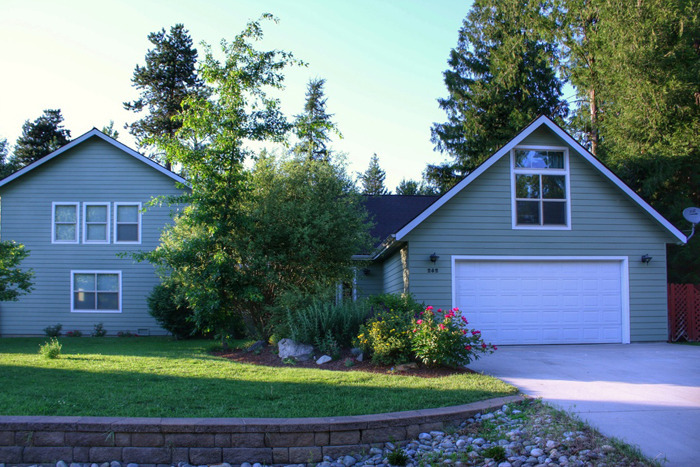 Located on a county maintained road this nearly a half acre with a forest of mature trees, the property features completed landscaping, sprinklers, a privacy fence, a garden shed, and a large deck off the living area and master bedroom with hot tub hookup.